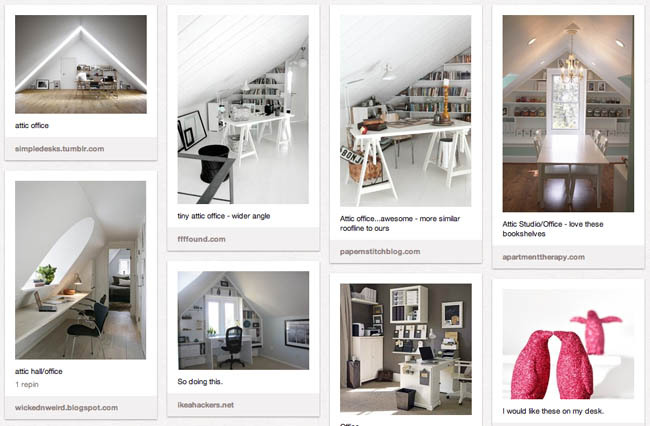 The Craigslist Decorator | .liveit.loveit.blogit. Happy Friday friends! Remember that amazing place I told you about in big time stress mode on Tuesday? Well, we found out a couple of days ago that we got it, woohoo! Move in day: May 15. 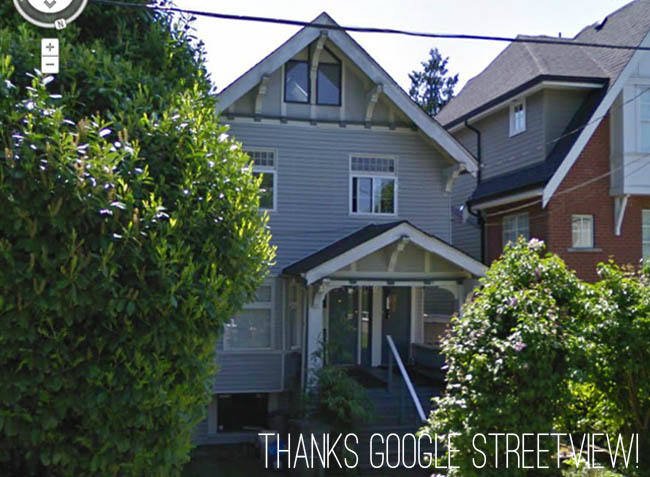 We’ve got the top two floors (including the attic, with it’s sweet sloped roofline) of this 101 year old character house. The front of the house faces north, and our sweet, XL back patio faces south. And it is going to be absolutely perfect for my newest project: The Craigslist Decorator. “What is the Craigslist Decorator?” You ask? Well, basically I am going to decorate an awesome and unique apartment for under $1,500 using mostly (you guessed it) craigslist! This project has been years in the making. I first had the idea when were thinking of moving to a new place in Toronto, probably 3 years ago! The first stop? My new office. In the attic. I can’t wait! And, a great source for inspiration? You guessed it: pinterest! I’m so excited about manufacturing some sort of built in shelving unit to line the sloped ceilings, creating both an awesome workspace and an inviting meeting space for client consultations. Have a super Friday friends! I’ll be back tomorrow with a food post, since I’ve sort of fallen off the rails a bit while I’ve been busy meeting all this summer’s clients, and obsessed with place-finding! I used to live on the main floor of that building! It’s an awesome location. Sounds like an exciting project. That is such a random coincidence; I never imagined that someone on the internet would recognize (let alone be a former resident of) the place we are moving! I also just checked out your blog, I love it!